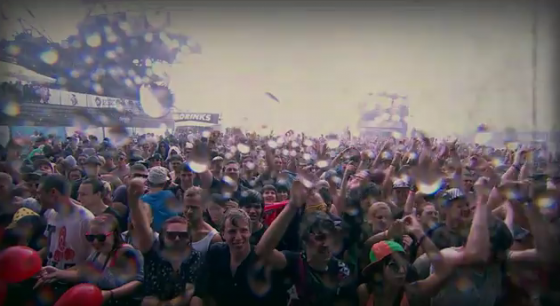 Splash Festival is Germany’s most popular hip hop festival. I remember the first Splash in 1999, I was 19 and did an internship at Intro magazine. I travelled to more than 10 festivals in one summer (which is a lot but nothing compared to what Christine is doing this year) and Splash was one of them. I even got to go on stage and introduce artists to the crowd. I can’t quite remember why they let me do that but it was definitely a good time. This year, Splash turns 15 years old and I very much like the idea of the video trailer with the son who wants to go to Splash for the first time and the dad who looks like he’s been going there for the last 15 years. After some years of bad luck with heavy rain and big shot artists on the line up who cancelled in the very last minute, for the last two years, Splash festival succeeded to turn around and present international musicians together with the German stars in a superb location. This year will see Whiz Khalifa, ASAP Rocky, Mac Miller, Skream, Beginner, Caspa, Cro and many others. Weather looks good so far, all the best at Splash!